The Four Control Layers – Fundamentals of Building Science | Sustainable Engineering Ltd. The building enclosure is what separates the inside environment from the outside ‘natural’ environment. This includes everything from the paint on the outside of the wall cladding to the finish surface on the inside (including any wall mounted mirrors). Sometimes the building enclosure is called the building envelope; same thing. 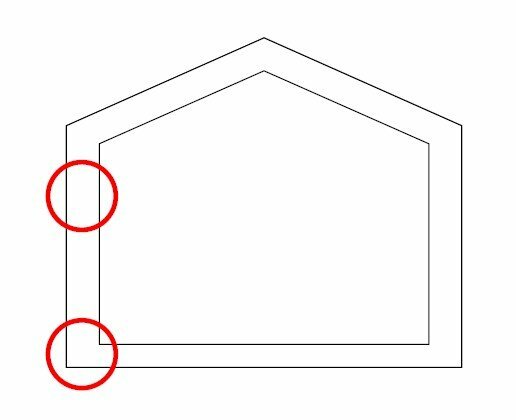 Figure 1: The building enclosure – it is what keeps the outside and inside apart. Figure 2: The four control layers in a wall. Water Control is the most important as it almost always fails the building quickly. This was the issue for the leaky building crisis in both British Columbia and in New Zealand. In both cases the Water Control layer was inadequately detailed and was dependent on a ‘perfect’ face seal where any leaks resulted in water entering the structure. This is discussed in more detail in the BRANZ 4D’s paper and Building Science Digest – Rain Control for buildings. 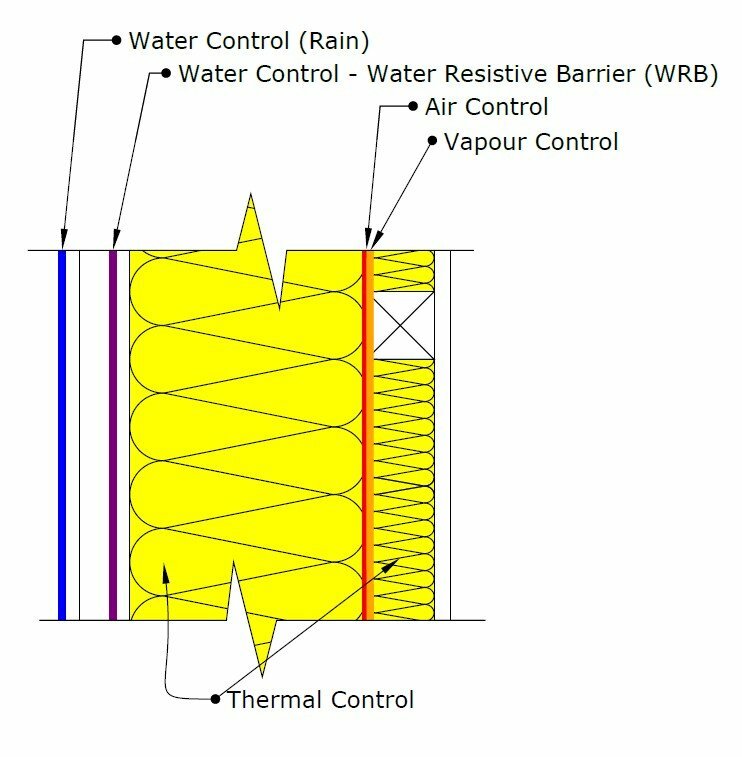 Many best practice construction systems have two distinct water control layers an exterior cladding (or roof) to control rain that is ventilated to the exterior and then a secondary water control layer usually termed a Water Resistive Barrier (WRB) as backup. Air Control is the next most important. This is due to the energy impacts of air leakage and more importantly the moisture that is convected with the moving air. There have been many failures due to air leakage from the building interior carrying moisture into the walls and roof structures where it condensed and caused damage. In New Zealand this has caused much of the recent ‘leaky roofs when it is sunny’ issues in schools in both the North and South Islands. I’m aware of or have worked on residential and office building roofs that have had this failure in Wellington, Auckland, and Queenstown. Walls have this failure mode as well but the damage is typically hidden and the resulting mould is not found unless a wall is opened up for other work (as the drips do not rain into the occupied space). Vapour Control is needed to control moisture levels in the assembly to prevent condensation and allow increased drying potential. As we increase the level of insulation in building assemblies there is less drying potential due to the reduction in energy going through the assemblies. Additionally many modern materials do not allow as much vapour flow as traditional materials. The result is that in well insulated assemblies there is some risk of condensation due to the moisture through the materials (i.e. through the wall or roof). This depends heavily on climate and the assembly design with colder climates and higher insulation levels increasing risk. Most often the air and vapour control layer are the same physical layer but they do not need to be. Thermal Control is the least important control layer when it comes to building durability. This often receives the most attention due to our cultural focus on saving money on energy and the increase in thermal comfort but until the Water, Air and Vapour control layers are defined and implemented correctly this should receive the least attention. In general it is best for heating climates (i.e. All of New Zealand) for the Air and Vapour control layers to be inside of the Thermal control layer or at least most of the way inside. This practice of keeping the Air and Vapour control layers to the inside prevents moist interior air from contacting surfaces that are cold, due to being outside the Thermal control layer, and condensing. Note that the outside surface of the thermal control layer is often referred to as the thermal envelope. These four control layers must wrap completely around the building enclosure (including underneath). In the floor-to-wall junction shown below the blue water control layer can be seen wrapping around the outside of the junction. The interior air (red) and vapour (orange) control layers run continuously down the inside of the wall and seal to the top of the concrete slab which forms the control layers across the floor. 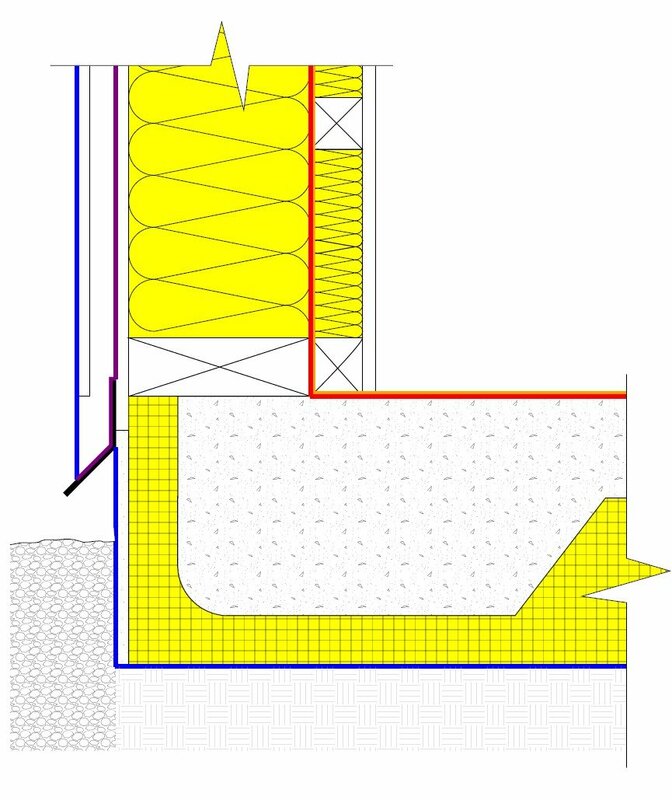 Finally the thermal control layer (yellow) is continuous around the edge and beneath the floor broken only by the timber elements. Figure 3: Wall to Slab detail showing the continuity of the four control layers at the junction. At each and every junction in the building the designer must understand how the control layers are kept continuous across the detail, If it is not understood at the design stage and communicated via drawings it will not be built correctly.